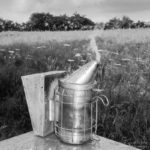 My recent comments on the cost of Api-Bioxal prompted me to look in a little more detail at the cost of miticides routinely available to beekeepers. The figures quoted below are the best prices listed by one of three leading beekeeping suppliers in the UK (E.M. Thorne, Maisemore’s and C. Wynne Jones – there are lots of other suppliers, but I’ve used these three and been satisfied with their service). I made the following assumptions: the beekeeper is purchasing sufficient to treat three single-brooded full colonies for three years (i.e. something with a reasonable shelf-life) with as little left over as possible. Costs per colony treatment were calculated for 9 colonies (3 x 3 years) only … any ‘spare’ can therefore be considered as free. This means that for Apiguard, available in packs of ten trays (5 colony treatments) or a 3kg tub (30 colonies), the cost is calculated per colony from two packs of 10 trays as a full course of treatment for one colony requires two trays. 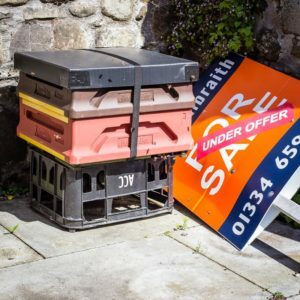 Obviously, buying in bulk – for example through a co-operative purchasing scheme in your beekeeping association – should reduce these costs significantly. No postage costs were included. Note that this simplistic comparison hides a number details. These various treatments should be broadly similar in their efficacy (see below) in reducing the mite population, but must be used according to the manufacturers instructions for maximum efficiency. Under optimal conditions all quote at least 90% reduction in mite levels. However, Apistan (and Bayvarol, not listed) is pyrethroid-based and resistant mite populations are very widespread. In the presence of totally or partially resistant mites, Apistan will be of little or no benefit. Interestingly, Apistan resistance (which, like resistance to pyrethroids in other species, is due to a single amino acid substitution, so readily selected) appears to be detrimental to the mite in the absence of selection. 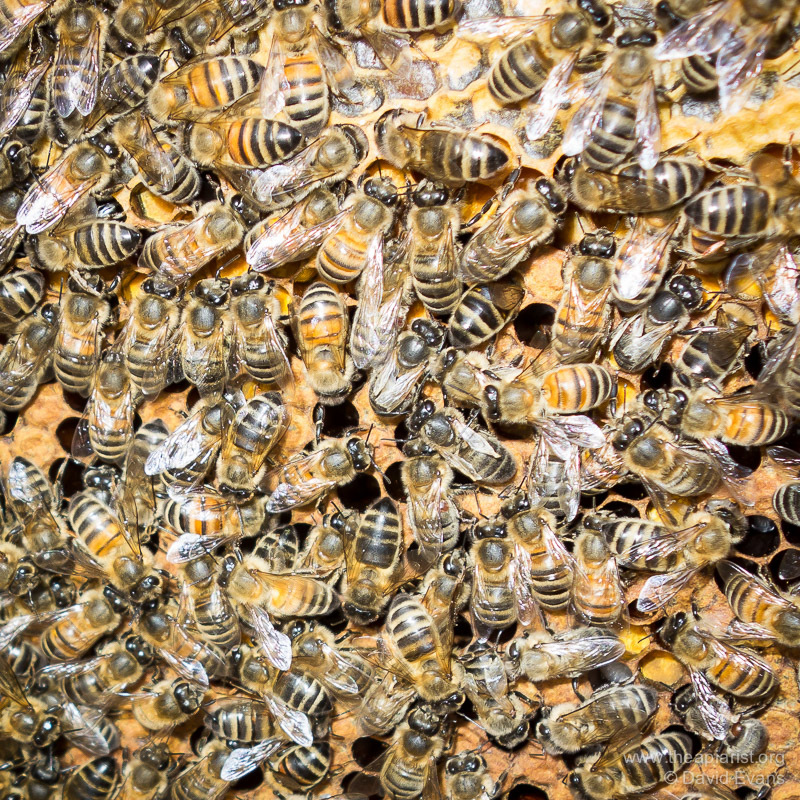 This means that it may be possible to use Apistan effectively every 3-5 years as part of an integrated pest management as long as other beekeepers in the area follow the same regime. During the years Apistan is not used the pyrethroid-resistant mites should reduce in number, so restoring the efficacy of the treatment. I’m not aware that this idea has been properly tested, but it might be worth investigating. Only the first four treatments are approved for use in the UK by the VMD. Both the oxalic acid-containing treatments – Api-Bioxal and OA crystals – require preparation before use, or specialised equipment for delivery. OA vaporisation (sublimation) also necessitates both care and personal protection equipment to prevent exposure to the chemical which is a lung irritant. The costs indicated do not include these additional requirements. The treatments are not equivalent or necessarily interchangeable. For example, a) only MAQS should be used when honey supers are present, b) Apiguard is moved around the hive by active bees, so treatment is recommended when average daytime temperatures are above 15ºC , and c) there are reports on discussion forums of repeated OA vaporisation treatment – 3 at 5 day intervals – for colonies with brood present. The costs indicated above assume a single treatment (in midwinter or of a swarm/shook swarm in the case of OA) with any of the listed compounds. As indicated above, all of the Varroa treatments listed should give 90+% knockdown in mite numbers if used properly. This means following the manufacturers’ instructions – in terms of dose, time and duration of application. A key point to remember is that the mite is only susceptible when outside the capped cell and that 80% or more of the Varroa in a colony at any one time will be inside capped cells if there is brood present. For this reason, it is preferable to treat during natural (or induced e.g. a shook swarm) broodless periods. It has even been suggested that the midwinter OA treatment should be preceded by destruction of any brood present. Although this makes sense, I can understand why some beekeepers might be reluctant to open a colony to destroy brood in the middle of winter. There have been numerous reviews of individual and comparative efficacy of the various Varroa treatments – for example this well-referenced article on mite treatment in New Zealand from 2008. If used properly there’s little to choose between them in terms of efficacy, so the choice should be made on the grounds of suitability, convenience and cost. ‘Suitability’ is a bit of a catch-all, but requires you broadly understand how and when the treatment works – for example, Apistan is a pyrethroid so works well against sensitive mites, but is pretty-much useless against resistant populations, and resistance is widespread in the UK. ‘Convenience’ is generally high in the ready-prepared commercial treatments – it takes seconds to insert a tray of Apiguard – and much lower if the compound has to be prepared or you have to get dolled up in protective gear. In this regard, the absence of a pre-mixed liquid version of Api-Bioxal is a disappointment. Thorne’s still supply (at the time of writing) Trickle 2, a very convenient pre-mixed 3.2% w/v OA treatment for mid-winter trickling, but for how much longer? Similarly, the gloves, mask, goggles and power needed to treat a colony by OA sublimation makes it far from convenient for a single treatment. Despite the great differences between the cost/treatment/colony it’s worth noting that even the most expensive is not a lot more than the price of a 1 lb jar of top quality local honey … just like the stuff your bees produce 😉 So, in the overall scheme of things, Varroa treatment is relatively inexpensive and very important to maintain colony health and to reduce overwintering colony losses. 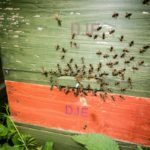 This entry was posted in Beekeeping, Economics, Varroa control and tagged Apiguard, health, LSD, miticide, oxalic acid, review, swarms, Varroa, winter on November 15, 2015 by David. Sublimation is the conversion of a substance in the solid phase into the gas phase without going via the intermediate liquid phase. With suitable heating oxalic acid (OA) powder can be converted into a vapour which, when spread through the hive, provides a quick and effective way to reduce the mite levels … hence it’s often referred to as oxalic acid vaporisation (or vaporization … if you search the web on this topic you’ll find at least four variant spellings). With too much heating OA decomposes to formic acid and carbon monoxide, so the temperature of the vaporiser is critical to generate the optimal cloud of OA vapour (or vapor!). I’ve been using a Sublimox vaporiser this season with good results and provide a description of the machine and its use here. 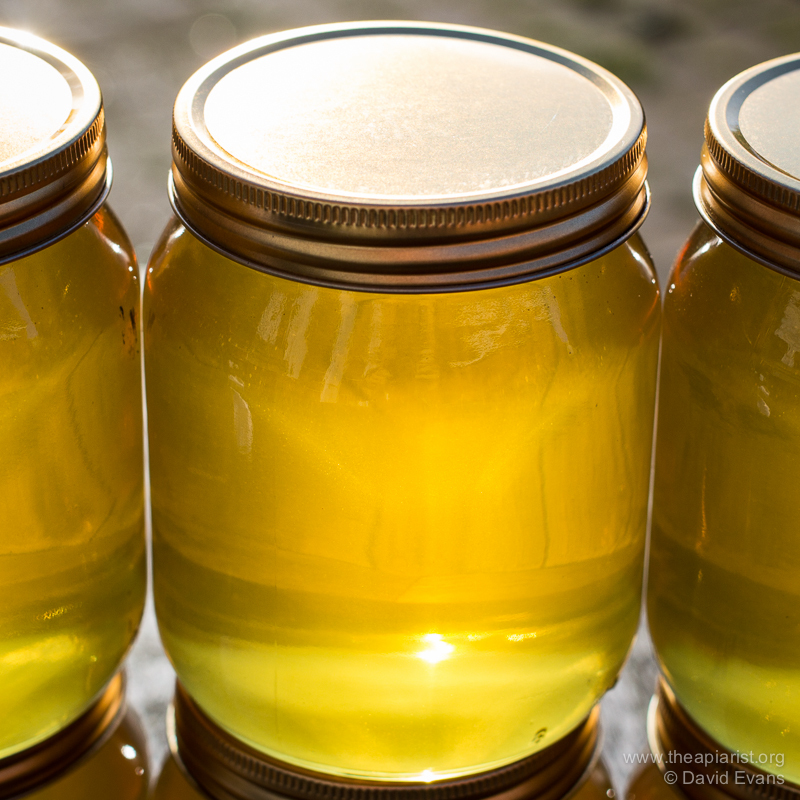 Most beekeepers are familiar with midwinter treatment with 3.2% OA solution (in syrup), applied by ‘dribbling‘ 5ml per seam across the clustered colony. Under these conditions the colony needs to be broodless as a) it’s not effective against mites in capped cells and b) the OA dissolved in syrup is toxic to brood. 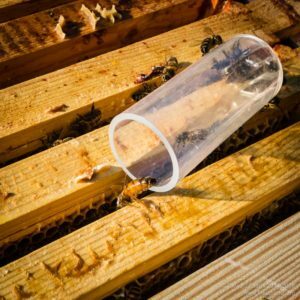 It’s also reported that the ingested OA may be suppress subsequent brood rearing, at precisely the time the colony should be getting started for the upcoming season. 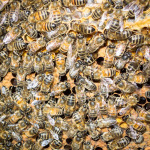 Vaporisation or sublimation avoids this toxicity … the OA is introduced to the hive as a gas which permeates the entire colony, recrystallising as tiny crystals on all surfaces – bees, comb, internal walls etc. Studies of OA vaporisation has shown it is ~95% effective in reducing phoretic mite numbers. I recommend you read the extensive coverage by Randy Oliver @ Scientific Beekeeping who covers efficacy, mode of action and toxicity (though I’ll return to this last bit later). This is an active vaporiser which blows a jet of vaporised OA through a small (8mm) nozzle. The machine consists of a handle, a box of electrickery (which I’ve not opened) and a heating pan surrounded with a safety guard. 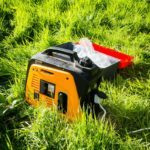 The machine is rated at 230V AC and 300W so you need either a car battery and inverter or a suitable generator (which is what I use). The vaporiser is simplicity itself to use. One gram of OA powder is placed into a small plastic ‘cup’, the preheated vaporiser is inverted and the ‘cup’ engaged with the heating pan. 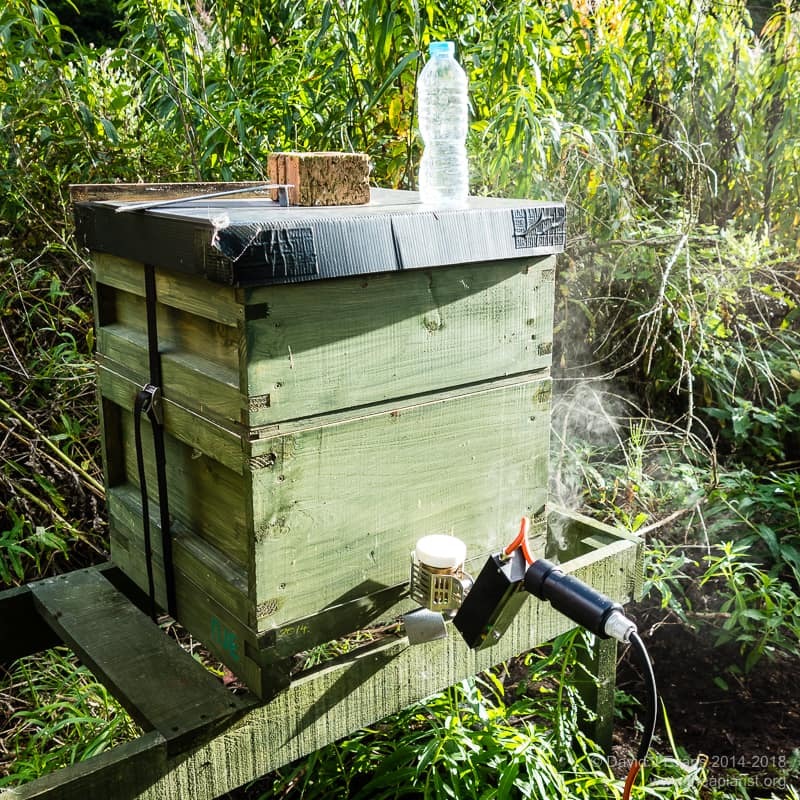 The nozzle is pushed through a hole in the hive body and the vaporiser is inverted again (so it’s now the correct way up – see the top photo on this page). 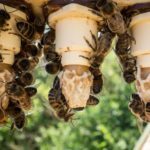 The OA drops into the heating cup, immediately vaporises and is blown through the nozzle into the hive. It takes 40-50 seconds to use all the OA, at which point you can move on to the next hive. To fill the hive with vaporised OA it’s important that as little as possible leaks out during the short period of treatment. I use a Correx Varroa tray underneath the open mesh floor. In addition, the kewl floors I use are easy to block using a simple L-shaped piece of softwood (I use these when transporting hives; when screwed onto the front of the floor there’s no danger of bees escaping). Part of the beauty of OA vaporisation is that the hive does not even need to be opened. I’ve drilled 9mm holes just above the open mesh floor level, through either the side or back of my floors. This is a better location to insert the nozzle of the Sublimox as there’s space under the frames to allow the gas to spread evenly and quickly throughout the hive. 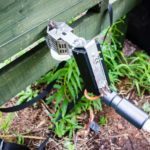 This is easier than the alternatives of using an eke with a suitable hole in it, or drilling through the side wall of the brood box (this is too close to the frames and you get poor spread of the gas – I’ve tried this on hives with a perspex crown board and it’s very obvious). With a standard floor you could use a simple entrance block with a suitable hole in it. 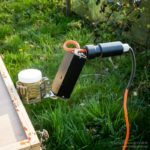 The nozzle gets hot … keep it away from poly hives or nucs! I treat my Everynuc poly nucs directly through the (cavernous) front entrance which I block using a thick piece of wood with a 9mm hole through the middle. 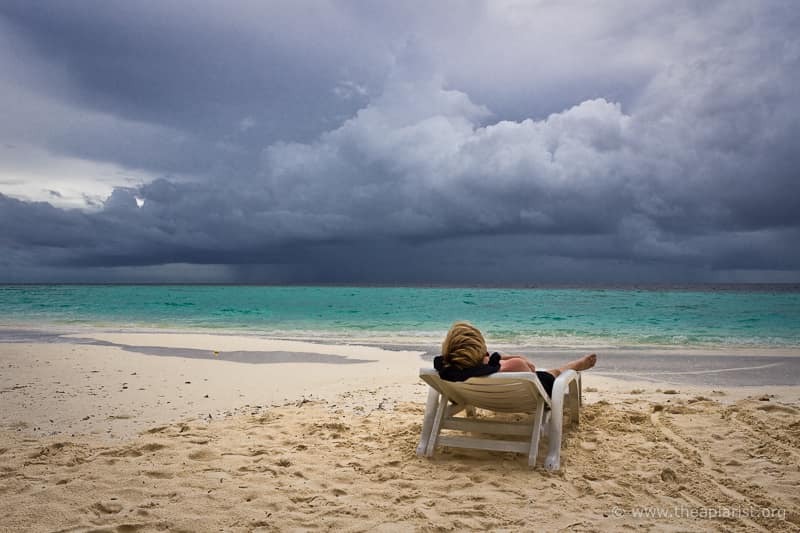 OA vapour is pretty unpleasant and causes significant irritation to the eyes and lungs if exposed. Take care. You will need suitable eye protection and a mask of some sort. I use standard (and very inexpensive) safety goggles and a 3M dust/mist mask. You should also wear gloves when handling OA. It’s also wise to stand upwind of colonies being treated and to take care not to breath in any OA vapour that leaks out of gaps in the hive. I’ve treated four swarms this year using OA vaporisation. Three had very low mite levels, but the small churchyard swarm dropped several hundred mites in the 2-3 days following treatment. I don’t routinely count the mite drop on each day post treatment (I have a life) but have noticed it can increase over the first 2-3 days and then tails off over the following week or so. In large scale studies in Europe 95% efficacy was reported with mite drop continuing for up to a fortnight. 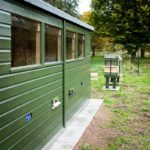 There are a number of useful references on the Scientific Beekeeping site if you want to follow this up further. I’ve also used OA vaporisation on almost all my colonies this autumn, instead of Apiguard treatment. If the colony has sealed brood the usual estimate is that at least 80% of the mites are occupying capped cells. These mites are unaffected by OA vaporisation (until they emerge) and it is therefore necessary to perform repeat treatments. 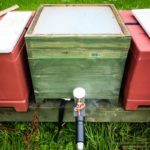 Taking account of the life cycle of the mite and empirical measurements made by Hivemaker reported on the Beekeeping Forum, three treatments at five day intervals are required to have the maximum effect. Ideally this should be on a day or at a time when most of the colony is ‘at home’ … though the crystallised OA continues to be effective for several days after initial treatment. Fortunately, OA vaporisation has little or no effect on the queen, unlike many other mite treatments. The colony gets mildly agitated during treatment but calms down again within minutes and resumes foraging. In the colonies I’ve looked at after treatment there appears to be no gap in egg laying (I’ve also treated casts with virgin queens that have gone on to mate successfully). This is ideal for the autumn treatment when you want the colony to raise as many bees for overwintering as possible. In contrast, Apiguard regularly stops the queen from laying. 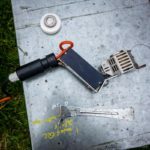 There are other OA vaporisers made, and instructions on the web for a variety of DIY items – some looking more dangerous (to the operator, not the mite) than others. The majority of these are passive vaporisers, in which the OA is placed in a cool heating pan which is then placed on the floor of the colony and heated up. I’ve not used this type. 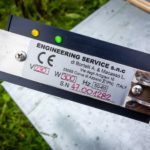 They have the advantage of being less expensive and only require a 12V supply. However, they are slower to use as the pan takes longer to heat up and then needs to be cooled in a bucket of water between applications. They are also incompatible with the kewl floors I use and I presume – depending on how hot they get – with poly hives and nucs. I think the efficacy of the two types is supposed to be broadly similar. I listened to Bob Smith talk at the MSWCC conference last week on shook swarms. I sat there thinking that a shook swarm followed shortly afterwards by a single shot of OA vapour would give a colony a really good opportunity to build up well, free of pathogens that have accumulated in the comb and free of the majority of phoretic mites and their viral payload. The Sublimox vaporiser is not inexpensive. It costs about €380 from Icko Apiculture. This is a lot, but is about the same as three 3kg tubs of Apiguard (C. Wynn Jones list this at £87 a tub at the time of writing) which is enough to treat 90 colonies with two treatments per colony. In contrast, OA dihydrate powder in bulk (not from Thorne’s) is about £20 for 5kg … enough for 1250 colonies (assuming 4 treatments per colony – 3 doses in the autumn and one midwinter). 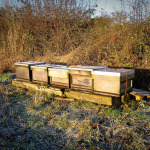 For beekeeping associations, particularly those with large shared apiaries when treatments could and should – see a later post – be coordinated, it might be a very good investment. 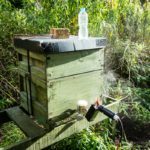 This entry was posted in Beekeeping, Sublimators, Varroa control and tagged autumn, bloody expensive, DWV, oxalic acid, review, sublimation, vaporisation, vaporiser, Varroa on September 26, 2015 by David. Almost exactly a year ago I recommended these rigger boots. I’d been using them for about six months and had been pleased with their fit and function. They’d been warm enough in the winter, strong enough to protect my toes from a carelessly dropped full super and easy to get on and off. Sometime this spring the lining on one boot worked loose. When I tried to slip the boot off the lining remained trapped round my heel, necessitating some unbalanced hopping about while prising my heel free with my fingers. Now both linings have come adrift from the inside of the boot and it’s a real palaver to get the damn things off. They remain comfortable, safe and secure, totally waterproof and easy to get on. They’re just nigh-on impossible to remove again. Screwfix still supply these … my advice is to get something different and I’m now on the lookout for an alternative. Any suggestions? 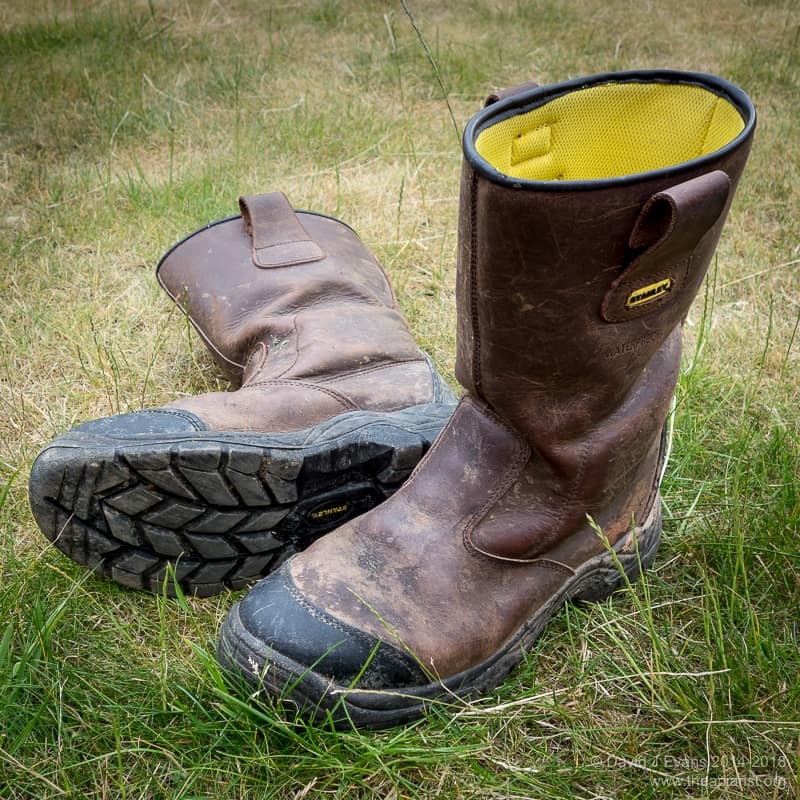 This entry was posted in Beekeeping, Protective and tagged boots, clothing, hopping mad, poor quality, review, total pants on July 3, 2015 by David. 2014 was a pretty good year for beekeeping. The winter was not overly long or cold and colonies came through it in good condition. Spring was cool and damp – although colony build up was about normal it was difficult to find good enough weather for inspections. Despite the weather the OSR yielded well. The summer flows were good, with excellent lime and blackberry which persisted for a long time (and necessitated frantic frame and super assembly in mid-summer). I took the honey harvest off in mid-August but – in retrospect – should have left it longer to get more from the himalayan balsam. The autumn ivy was excellent, with the bees working it here until at least mid-November. I’ve ended the season with more honey than I’ve had in the last 4 years, a dozen strong colonies and some overwintering nucs. As always, some things went well and some things went badly (or at least, less well) and I hope I’ve learnt from both. Queen rearing was patchy to say the least. This was entirely my fault. Although I achieved consistently high ‘take’ rates for grafting my work commitments meant I lost a couple of batches of queens by not caging the cells early enough. With queen rearing, timing is critical. I used a mixture of Kieler mini-nucs and 3 frame nucs for queen mating, losing some of the former to wasps and – stupidly – getting a 50% return of mated queens from the latter because the plastic crownboard (pinned down along the central wooden divider) buckled or stretched from the heat of the colony allowing one of the virgin queens to slaughter the other. D’oh! Needless to say, this is being fixed for the 2015 season. On a more positive note both preventing and capturing swarms went very well. The combination of clipped queens and prompt use of the Demaree method kept my production colonies under control and I’m only aware of losing one swarm from an over-stuffed 5 frame nuc early in the season. 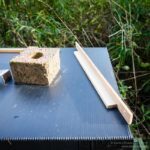 I increasingly favour the Demaree system (or versions of it, such as the use of a Morris board) for swarm control – it requires minimal additional equipment and keeps the colony together. My bait hives for capturing swarms worked well, particularly as I’ve learnt the best way to set them up is to use foundationless frames. The incoming swarm has somewhere to build immediately and they only need to be checked every few days. The combination of a nail gun (for frame assembly) and foundationless frames was a revelation – the former slashing frame building times and the latter providing the obvious benefit of reduced foundation costs, and a number of less obvious (but greater) benefits in terms of improved colony vigour. The first inspections of the 2015 season are still several months away so there’s ample time yet for preparation. This includes painting several more poly nucs, frame building and wax filtering. I’ll make an annual batch of mead in the hope that – one year – it will be drinkable. Beekeeping is too dependent upon the vagaries in the weather to make definitive plans or resolutions. 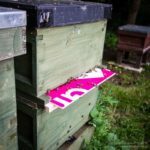 However, I do intend to experiment with upper entrances during Bailey comb changes and Demaree swarm control, to use more foundationless super frames and to overwinter more nucs for the 2016 season. Finally, this website has been running for about a year. Looking at the visitor stats it’s clear that the most popular posts have been on honey warming cabinets and Paynes poly nuc boxes (though in fairness, these were also some of the earliest posts), with visitors from over 100 countries in total. I hope you found something useful here. 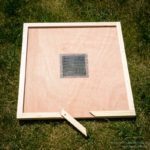 This entry was posted in Beekeeping, Seasonal and tagged bait hive, Demaree, foundationless, Kieler, poly, queen rearing, review, winter on December 31, 2014 by David. Until this season I’ve used a variety of beekeeping footwear. Other than for quickie inspections (using a jacket only) I usually wear a full suit and Wellington boots – waterproof, reasonably long in the leg, easy to tuck the beesuit into and, if you choose carefully, a grippy sole for wet grass or mud. 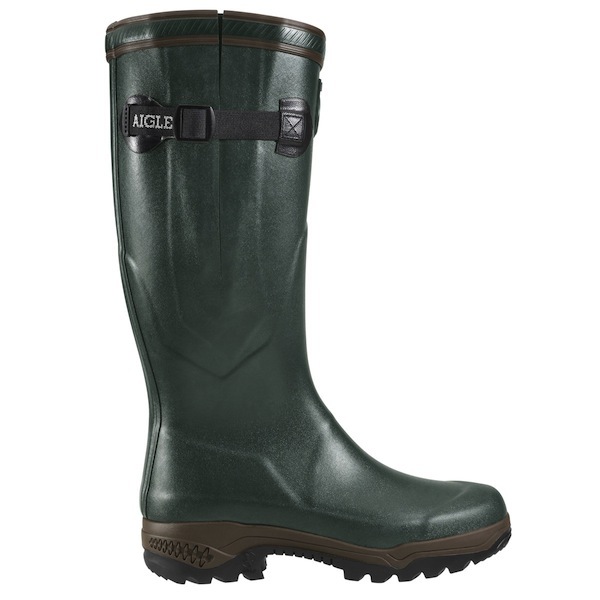 Most recently these have been neoprene-lined Aigle boots. Although supremely comfortable they were far too warm to wear for summer inspections … with the beesuit suit tucked inside my feet and ankles would be soaked in sweat for the entire afternoon and they were a nightmare to remove if I needed to go in the house for the (inevitable) things I forgot. They were tight on the calves, which ensured they were completely bee proof, but this undoubtedly contributed to the overheating. I purchased a pair of Stanley Rigger boots in the Screwfix winter sale, paying about half the list price (£60 at time of writing). They have thick dark brown leather uppers, are quite wide in the leg, comfortable enough to wear all day and have a sole with excellent grip. 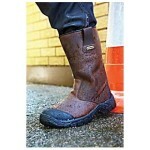 They are waterproof and – less usefully – have an oil, chemical and heat resistant sole (!). Importantly, when you’re as forgetful as I am, they are pretty easy to slip on and off. 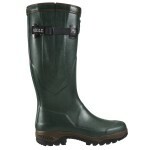 They are shorter in the leg than most wellies, but are easily long enough to tuck the beesuit into. When walking in long wet grass – the sort of thigh-high stuff that seems to accumulate more that it’s fair share of rain or dew – your calves will get wet, but some of my apiaries are so overgrown this used to happen in wellies anyway. Although the leg width is generous I’ve had no problems with bees getting inside. The sole is reasonably broad, but driving isn’t a problem. Note that the photograph on the Screwfix website of the boots ‘in use’ is clearly doctored (unless the wearer has spectacularly fat calves). Importantly – as I’ve recently discovered – these boots also have steel toe caps, so that when you drop a full super onto them from head height you don’t damage anything other than the box. This entry was posted in Beekeeping, Protective and tagged clothing, review on June 25, 2014 by David.